My office is located across the street from a Catholic Church and next door to a Presbyterian Church. 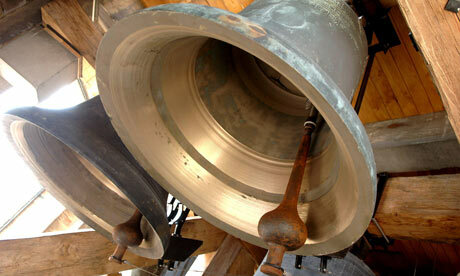 On my first day of work, I immediately noticed the bell chiming familiar hymns periodically throughout the day. The bells enchanted me, but like so many other things we see and hear everyday, they soon became background noise that I ignored. Until today. Today I noticed the bells playing Christmas carols, and the sound made me smile. Posted on December 19, 2013, in Family, My life, perspective and tagged 365 reasons to smile, children, holidays, life, music, musings, parents, perspective, school concerts, smiles. Bookmark the permalink. 27 Comments. I LOVE to hear bells and chimes. One of the things I miss from my time living in Germany.